Like leather boots and a lanyard compass, were admirers of well-built gear that gets you there and back again. 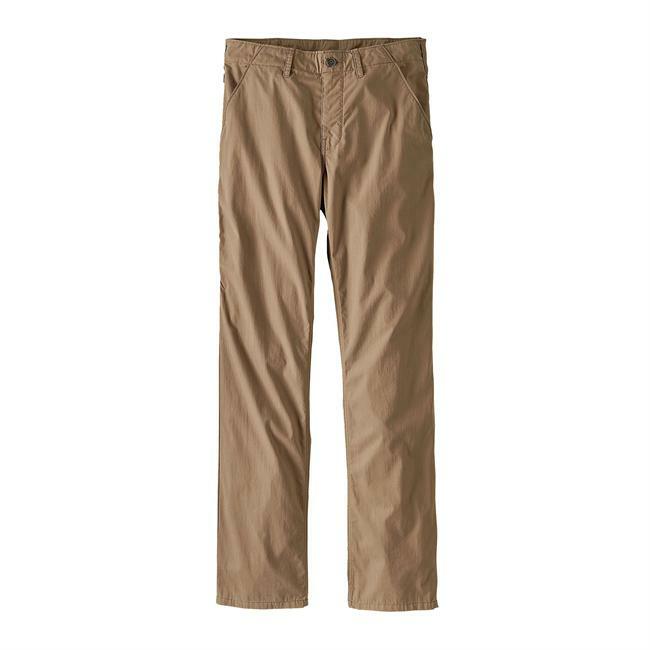 Made from a light, durable and long-lasting 5.7-oz 74% organic cotton/26% nylon blend, Patagonia's do-it-all Tenpenny Pants have a travel-ready design that blends comfort and utility. Multifunctional and multiseasonal, they have a more relaxed, movement-oriented fit thats best for athletic and muscular body types, as well as larger frames. 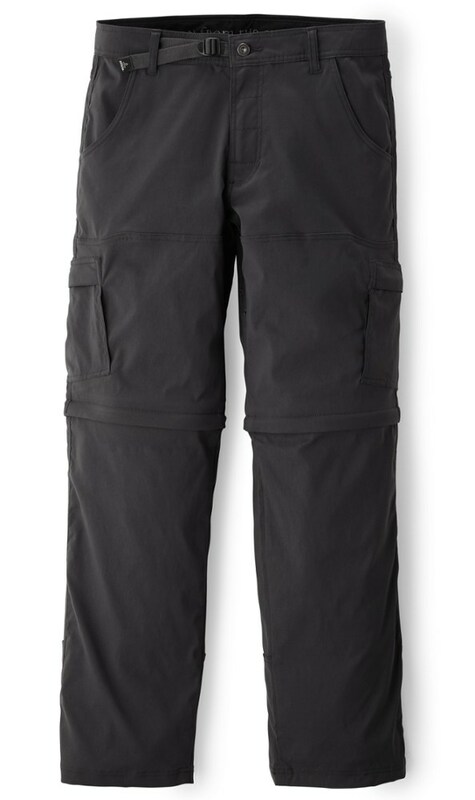 Articulated knees and a gusseted crotch allow for full range of motion, and a DWR (durable water repellent) finish keeps them going strong when the weather turns dicey. They have two slanted side-entry front pockets, a right-front, on-seam cell phone/utility drop-in pocket, and two rear top-entry pockets (one with a flap snap closure). 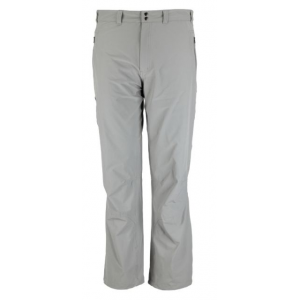 Contoured waistband follows the natural shape of your hips. Made from a light, long-lasting 5.7-oz blend of 74% organic cotton/26% nylon, our do-it-all Tenpenny Pants have a travel-ready design for comfort and utility. Multifunctional and multiseasonal, their more relaxed, movement-oriented fit is best for athletic and muscular body types, as well as larger frames. Articulated knees and a gusseted crotch allow for full range of motion, and a DWR (durable water repellent) finish helps to resist moisture. They have two slanted side-entry front pockets, a right-front, on-seam cell phone/utility drop-in pocket, and two rear top-entry pockets (one with a flap snap closure). 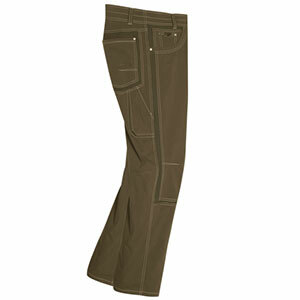 Contoured waistband follows the natural shape of your hips. Inseam is 32". You're travel-ready and your pants should be ready too. 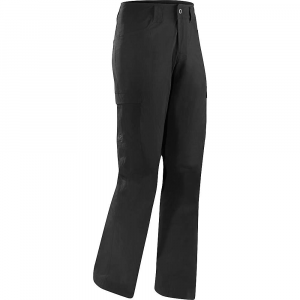 Patagonia Tenpenny pants are made from a light, durable blend of organically grown cotton and nylon for comfort and utility wherever you wander. 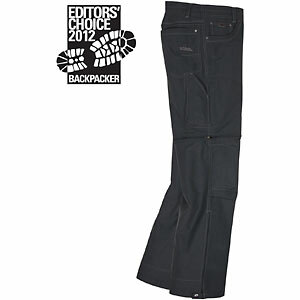 Shop Patagonia Tenpenny Pants - Mens-56835-ASHT-38, 56846-INDG-34 with Highly Rated on 2 Reviews for + Free Shipping over $49.